The following prints are the masterpeace which I won a prize from the work which I appled since 2013 for the OHGEN art group exhibition. I use Shina-beniya which means plywood of Tilia Japonica (Japanese Lime). The Shina wood is soft and easy to curve so that most of Japanese woodblock print artist uses Shina-beniya. 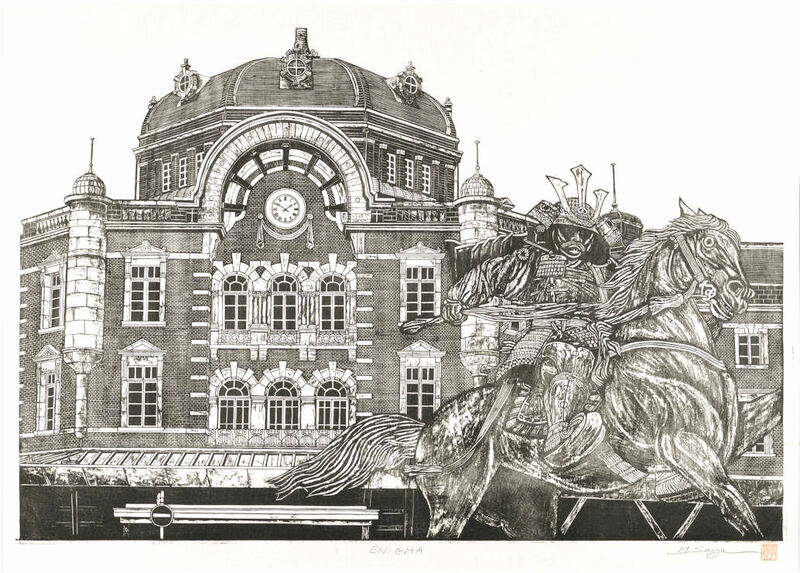 For these large size prints I use 60X90cm Shina-beniya which thicknes is 9mm. 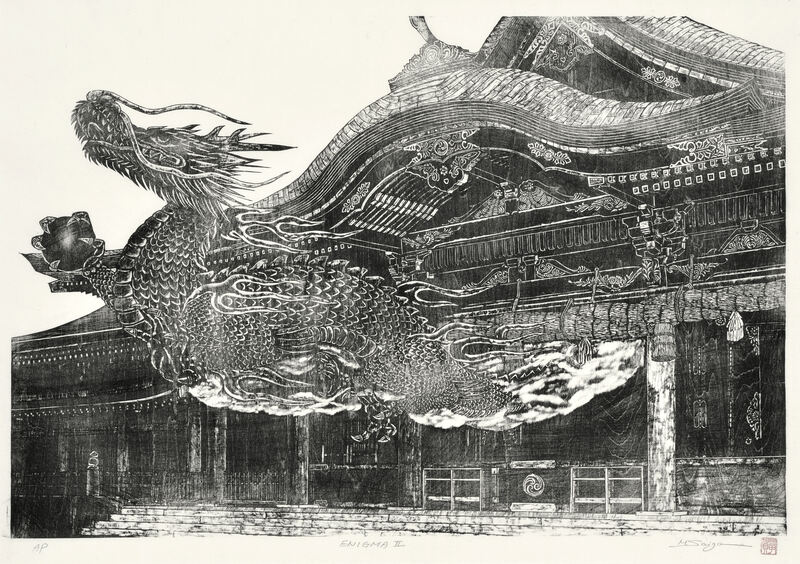 Use ink specially prepaired for wood block printing and use 100% kozo washi. I compare the refinement of the Tokyo station and the elegance of the positive image by contrasting the arrangement of Masami Kusunoki in front of Tokyo station and expressing the characteristic texture of each by changing the way of carving. 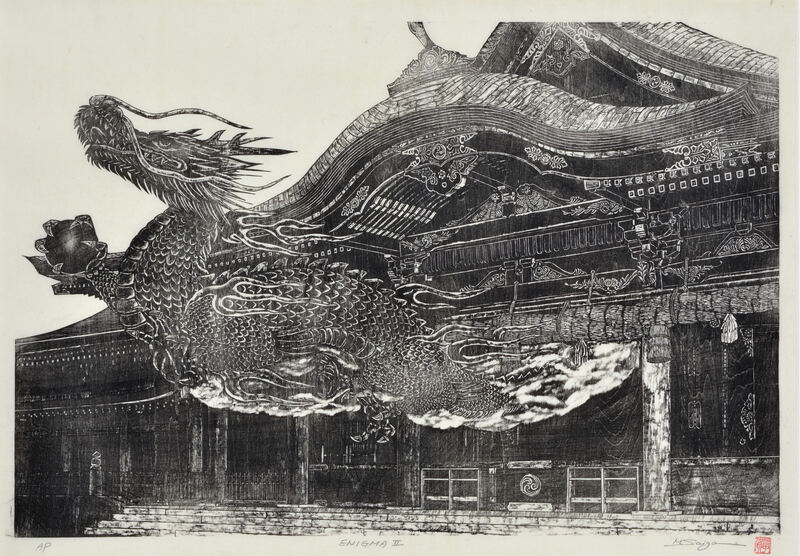 It is a work with a motif of the dragon appearing from the shrine company and rising towards the sky. 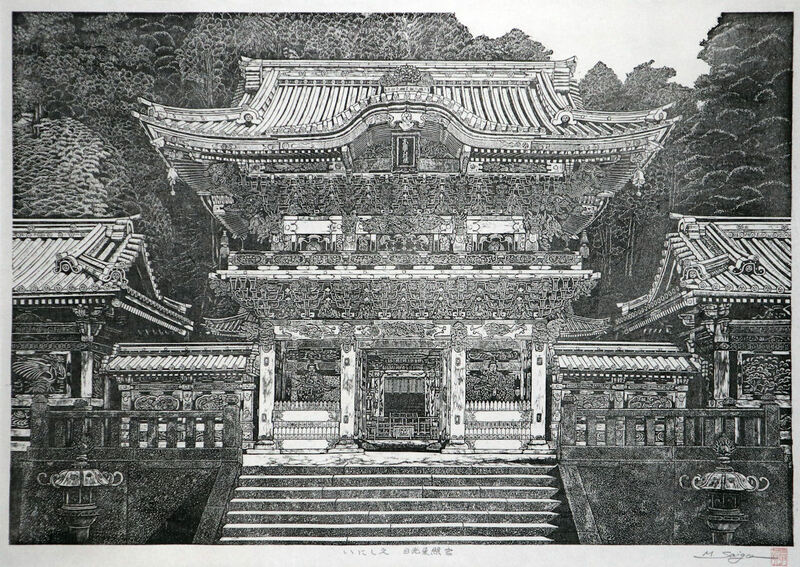 It is a work with the motto of Yomei gate of Nikko Toshogu, where restoration work was completed. It was the proposition of this work how to express golden roof, sculpture group painted brilliant color, its magnificence and glittery appearance in black and white. Copyright © 2018 Masaaki Saiga, All rights reserved.